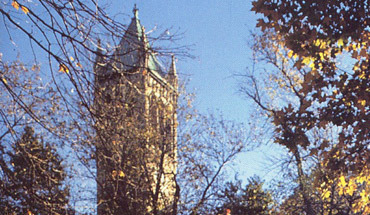 In 1993 Iowa State University launched a major architectural steel renovation project for the beloved Campanile that is the centerpiece of the campus. Barnes Manufacturing president, Tom Barnes was thrilled to be included in the design and build process for his alma matar. 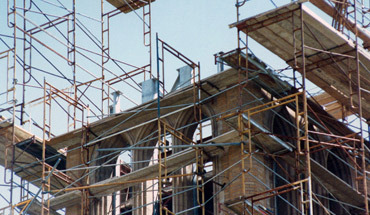 To start, a new framework was needed to stabilize the stucco exterior. 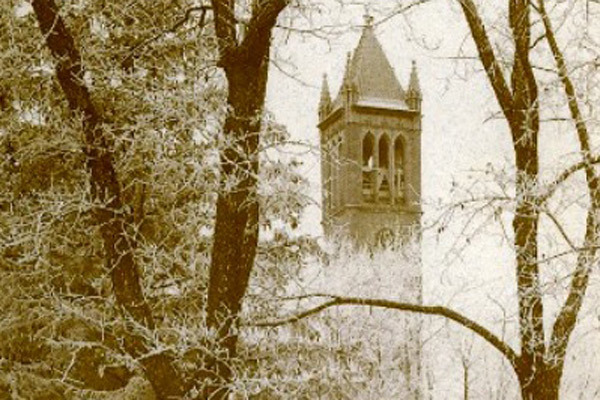 Barnes Manufacturing Services was able to provide design and manufacturing of the steel frame structure that became the skeleton of the Campanile ensuring that star crossed lovers would be able to kiss under the campanile at midnight for years to come! 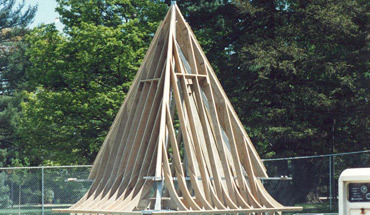 Detail of Barnes manufactured steel reinforced structure. Another detail of the steel ‘guts’ behind the facade. 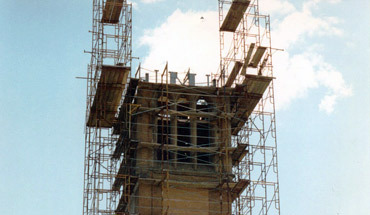 Top cap of the Campanile, now reinforced is readied for the crane. 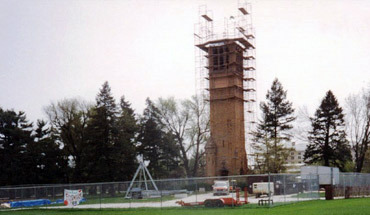 Scaffolding ready for the cap is seen above the Campanile. 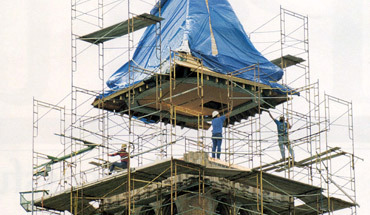 Final hoisting and setting the cap on the Campanile, now fully reinforced. Fully restored, the Iowa State University is a hallmark of beauty once again.